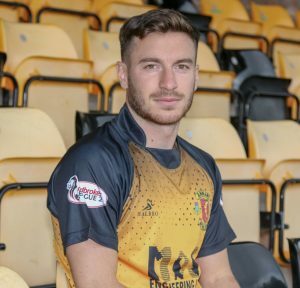 The club is delighted to welcome back to Galabank, Ex Annan forward Max Wright. Max is no stranger to Galabank having spent the 2016/17 season here under previous manager Jim Chapman. The 25 year old forward was part of the squad that reached the play offs that year but in summer 2017 he made the move to Clyde along with Chapman. Max has been keen on a return to Galabank and has been training with his new team mates throughout pre season, earning himself a new deal with the club. Manager Peter Murphy has been impressed with Max’s commitment and is also delighted to bring another player into the squad with plenty of experience playing in our league.